My painting is a message evolving around emotions, eternal to some degree, primary, one could say… It is the fascination, the ability to perceive and experience beauty, a union of most intimate experiences and emotions, the fascination with nature as well as with a relative relationship with another human being. 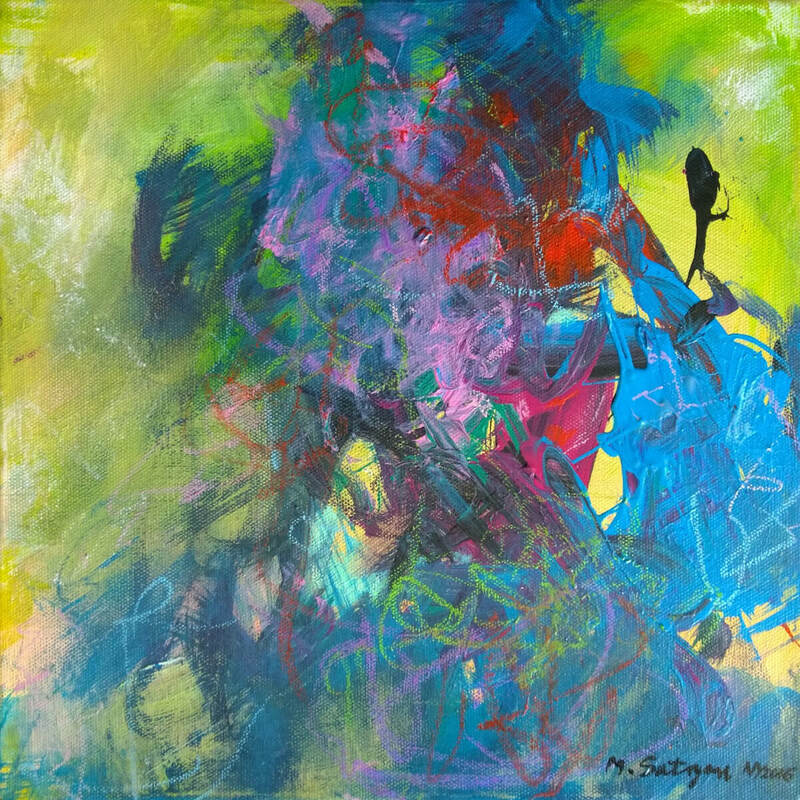 Mira Satryan – abstract impressionism! I express in my painting the concerns and risks that result from a fleeting structure of circumstances defining our everyday lives. 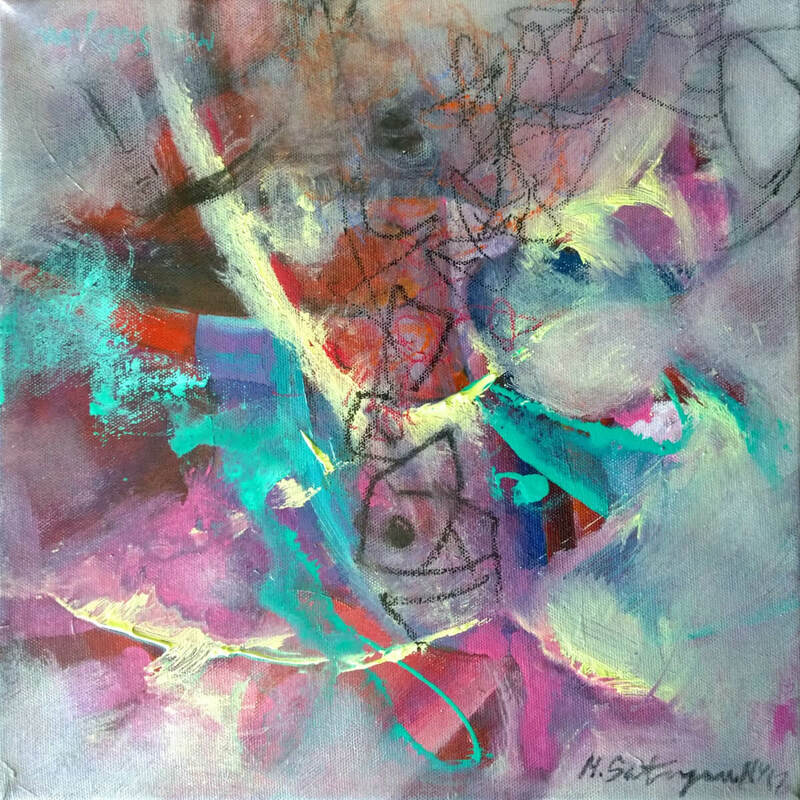 Painting is the realm of communicating expression and emotionality that are a common theme of sorts in my paintings – the awareness of impermanence. Sometimes my painting has a dramatic form, emphasized with a contrast color of varying intensity of the hue. The structure of our existence is very fleeting and frail; it takes an effort to cultivate it… Our experiences are ephemeral and transitory… and everything passes irrevocably. After elementary school, I decided to go to school with art subjects. There were many wonderful, unmatched artists today. Claire Monet, painter of light, Paul Gauguin with his strong figures of women and color … But also 17th-century Vermeer with beautifully lit light in his portraits, Rembrandt … unflattering portraits, JM William Turner with his beautiful landscapes as it is today, and I must also mention El Greco … when I first saw his original in the museum, it was a huge experience….. …..for me …. 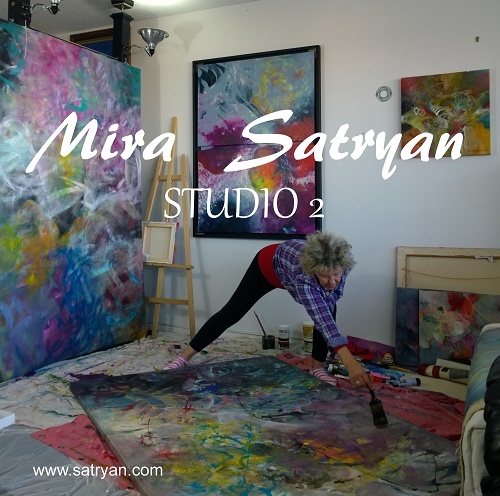 My paintings are abstract impressionism, sometimes with elements that are expressed more realistically, the expression that I express also by color. I do not remember exactly the first sale, but I remember one of the first sold pictures … His title “Case in the bathroom”. I usually do one picture, paint big pictures …. sometimes I leave them unfinished and after some time I come back to them … If I paint smaller, because sometimes it consists of several pictures, one is painted separately … at the end of work or They correct it together. 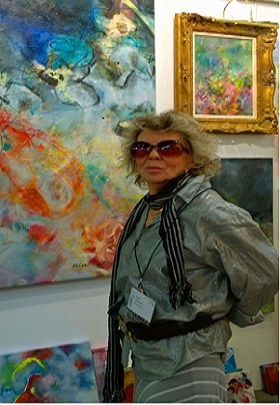 My inspiration is nature, everything that’s going on around, but also some of my thoughts …..
For 25 years I have been living in New York, working here as an artist, before that I lived in Poland, where I graduated from the Academy of Fine Arts in Cracow and obtained the title of Master of Arts. At the beginning I was dealing with graphics and a poster, but later I started painting and like to constantly discover new possibilities for creating an image.